Milk on cereals, milk in our desserts, milk in beverages and so on – anywhere you go, there is no escaping from milk. And for most of us, milk brings back childhood memories – it was after all our first food. However with the recent controversies surrounding milk, one begins to wonder if drinking milk really is safe anymore. Before we begin hunting for the truth about milk, let us understand what milk really is: Milk is a translucent liquid secreted in the mammary glands of all mammals during the lactation period. In simpler terms, milk is a nutrient for the new borns. The milk of every species is specific to needs of their offspring, which explains why cow’s milk is so rich in proteins, while a human mother’s milk contains more of antibodies and essential fatty acids. A wide range of studies suggest that human milk is extremely rich in essential fatty acids, especially Linoleic acid while animal milk has none. Reason is simple: cow’s milk is not designed for humans but for calves. Cow’s milk, both regular and organic contains up to 59 active hormones, high fat content and hundreds of allergens. And if these were not enough, milk from cows and goats contains high amount of herbicides, pesticides, antibiotics, blood, pus, and a variety of bacteria and viruses. Sure, homogenization and pasteurization can kill most of the bacteria, but these processes also destroy the nutrients present in the milk. What is left behind is nothing more than a ‘dead beverage’ with high amount of pesticides and other dangerous chemicals in it. Is this what you want to feed your body with? With that said, the nutritional advantage of milk cannot be ignored either. Researchers at University of Tennessee found that overweight people who drank milk thrice a day lost more belly fat than those whose milk consumption was lower. Also, besides providing high amounts of calcium, milk is one of the best muscle foods too. Milk proteins can be broken down into – Whey (20%) and Casein (80%). While whey is a ‘fast protein’ and is quickly absorbed into the blood stream, Casein takes time to get digested and offers a steady supply of protein for your body. No wonder, body builders and sportsperson swear by the health benefits of milk. So what is the best way to obtain the complete nutrition from milk, while keeping the various risks and dangers at bay? Health experts and nutritionists suggest that the best option is to consume milk other than animal’s (goat, cow, camel) milk. While raw milk is still cow’s or sheep’s milk, it is in the natural unaltered form. Raw milk is neither pasteurized nor homogenized, nor is it heated beyond the animal’s highest body temperature. With no additives and chemicals added, the nutrients in raw milk remain intact. 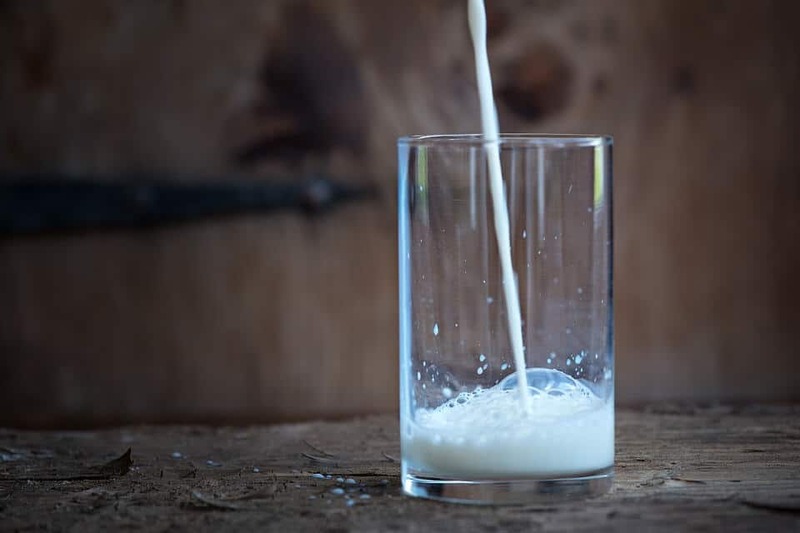 There are basically two types of raw milk – one meant to be consumed directly from organically-reared cows and another that absolutely needs to be pasteurized to be made fit for consumption. The ideal raw milk is certainly the one taken straight from organically-reared animals. Almond milk, as the name suggests is obtained by finely grinding soaked almonds. Almond milk has been a popular beverage since the medieval times. It is a healthy and tasty substitute to animal milk. Almond milk contains many more nutrients than normal dairy milk, and is a potent alternative for those with soy or lactose allergies. Soy milk is an extract of soya beans, which are known for their incredible health benefits. It is dairy-free and works as a wonderful alternative to animal milk. A wide range of flavors are now available in Soy milk and its popularity is growing at a fast pace. Consume soy in moderation as the estrogen-mimicking compounds can have a negative effect if over consumed. * Rich in Isoflavones – Isoflavones are powerful antioxidants that provide protection against heart diseases, cancer and osteoporosis. * Rich source of Protein – Soy milk is one of the richest sources of plant-based protein, and is ideal for those who engage in body building or strenuous activities. * High in Vitamin B12 – Soy milk can be a good source of vitamin B12 for those who avoid dairy products and eggs. * Low in carbohydrates and saturated fats – The low fat content and carbohydrates in Soy milk contribute to weight loss, while providing complete nutrition. Even though soy has benefits we recommend staying away from it. Hemp Seed Milk is made from soaked hemp seeds, which upon grinding yield a creamy milky liquid. Hemp milk has gained widespread popularity due to its health benefits and high nutritional value. Hemp milk is extracted by pulverizing the soaked hemp seeds, blending them with water and then filtering the liquid out. Coconut milk is mainly used in Asian cooking and for preparing desserts. It is a sweet, milky white stuff derived from a tender coconut. The process of extraction is a little time consuming, as you need to first shred the inside flesh of the coconut, grind it with water and then extract the milk from it. The pearl white color and sweet taste of coconut milk can be attributed to the high oil content and sugars present in it. Just like coconut is considered the ‘miracle food’ because of its numerous health benefits, coconut milk too can be a healthy addition to your daily diet. * Rich in Lauric acid, an essential fatty acid required for building and maintaining the body’s immune system. In fact, coconut milk is at par with human mother’s milk in terms of its Lauric acid content. * Coconut milk is a dairy-free alternative for those who are lactose intolerant or allergic to animal milk. While there are unlimited alternatives to animal milk, it is best to take your pick from the major ones mentioned above. These are rich in nutrients, safe for daily consumption and are great for your taste buds as well. Hemp Seed Milk is made from soaked hemp seeds, which upon grinding yield a creamy milky liquid. A wide range of flavors are now available in Soy milk and its popularity is growing at a fast pace. Health Benefits of Milk Milk on cereals, milk in our desserts, milk in beverages and so on – anywhere you go, there is no escaping from milk.